It is the common thinking that if a person is held responsible or partly responsible for a road collision or a road traffic accident that they cannot claim for personal injury, while this is true if you are completely to blame this is not always the case if you are only partially to blame. It is not always clear to see from the offset which is the fault party when it comes to a road traffic accident, some cases are clear cut however there are those cases that mean more than one driver is at fault or both drivers are to blame for a percentage of it. Many personal injury solicitors often talk about ‘non fault accidents’ regarding personal injury and being able to pursue a claim and very often it is clear who the non fault party are. However in some cases both parties or more than one party has played a part in the incident and not just one particular driver carry’s all the fault. There can be disputes between parties as who is to blame for a road traffic accident no one automatically is guaranteed the right to compensation by pursuing a personal injury claim. In some cases it may go to court in order for a judge to find who the responsible party or party’s are. In simple straight forward cases for instance, vehicles that are hit in the rear it is usually transparent as who is at fault and that is the party who hit the other vehicle in the rear. However roundabout collisions are very common for blame to be split between two or more drivers depending how many vehicles are involved. It is not always clear to see who is at fault and these types of cases can mean the percentage of blame is split between the drivers very often 50/50. This can lead to both drivers being able to claim a certain amount of personal injury if they are injured as a result of the collision. It is always advised that when you have been involved in a road collision to consult a solicitor as to where you stand as they will be able to give you a legal stand point. We offer free, legal confidential advice and consultation with no obligation at all to appoint us as your legal representation so that you are aware of the next steps that should be taken. What is a fault accident? What If I was to blame for the car accident? If I’m partly to blame and it’s also partly the other drivers fault what happens? ( 50/50 ) Fault Accidents. What can be claimed for following; an Accident that was partly your fault or ( 50/50 ) fault? How do you know who’s at blame for an accident? Can I claim off my own insurance? Car accident my fault who do I claim from? Car accident my fault can I claim whiplash? Can I claim personal injury if the accident was my fault? How much compensation will I get following an accident when I was to partly to blame (50/50)? Why Choose Us as Your Claims Service for a ( 50/50 ) fault accident Claim? Fault claim usually means that or is referred to as a claim that has been the drivers fault or maybe even partially the drivers fault. Usually solicitors are known for commonly dealing with non fault claims where the party they are representing are not to blame for the incident, however there are cases where solicitors do represent clients that are partially to blame for the incident in question. Fault incidents can be what insurers consider as those who are at fault when it comes to a road collision. Non fault accident means that it is not a particular drives/person’s fault but is the fault of another. In terms of claiming personal injury the person who is not at fault may have the right to make a claim for road traffic accident personal injury. Although no one is particularly guaranteed compensation as it may be up to one to build a case against another or others to prove they were at fault. Not all cases are transparent; it may not always be clear who the fault party is. Many ask the same question when faced with being involved in a road traffic accident ‘if the car accident was my fault what happens? And the answer is usually that is will be put down to a fault accident and your insurance will cover the damages to your car if your are fully comprehensive and the damage to the others vehicle including the driver of the other vehicle if injured and any passengers that were injured when in the fault car or non fault car. If you are not fully comprehensive then you will not receive payment for the damages to your vehicle. As mentioned previously road traffic accidents can be complicated cases all may not be as it seems from the onset. There are many cases of road traffic accidents or road collisions where it is clear to see where fault lies and who may have caused the accident even though it may have not been deliberate. However there are cases where it is not so easy to see exactly who is to blame for the incident it can even go as far as blame being spread on to more than one vehicle. There are cases where blame is not laid on one driver, it may be that both drivers or more than one driver played their part in contributing to the incident. Some cases have an equal divide of blame and that is where the 50/50 split comes in. After investigations are complete it can prove that both drivers played an equal part when it comes to fault. Meaning that they would each take a 50% share of the blame if 2 vehicles were involved in causing the incident and both parties can go on to claim personal injury if they were injured as a direct consequence of the incident. If you are solely to blame for a road traffic accident it will be put down as a fault accident. It is very unlikely that you will be able to claim any type of personal injury for any injuries you sustain, it is however possible for any passengers in your vehicle to go on to make a claim for personal injury. For those who are at fault a common question is ‘accident my fault what happens?’ and if the accidents is totally your fault then it is likely your insurance will cover the cost of all damages to vehicles, if you are fully comprehensive your car will be covered too however personal injury will only be awarded to non fault drivers of the incident and passengers. Passengers in vehicles that are involved in a collision can always make a claim for road traffic accident personal injury whether it is for whiplash or a much serious injury as they are not to blame for road collisions, they are considered the innocent party. Family members including children and friends that are passengers in a car that is involved in a road traffic accident can make a claim regardless if they are in the non fault vehicle or fault vehicle. It is not always straight forward to see who is at fault when it comes to a road traffic accident in some cases all party’s can deny liability and claim they are not to blame. If you are involved in a car accident it is always best to seek legal advice especially if you are unsure who is at fault. Call our free phone helpline today were you can speak to specialist free of charge and receive free legal confidential advice as to where you stand when it comes to a vehicle collision. Our specialists have the knowledge and expertise to be able to tell you straight away if you are not at fault. No fault insurance claim process is quite different to those who are considered at fault for the incident. Any fault accidents will generally go through the drivers insurance to start a fault accident claim, it is advised to call your insurance straight away if you feel the accident may have been your fault. Those who consider ‘car accident my fault what happens UK’ should either seek legal advice straight away or contact their insurance provider. It may go down as a fault claim on your policy causing your insurance to rise. In some cases it is possible for drivers to work it out between themselves if the fault driver can afford all damage repairs and no one was injured. However if this is not the case then it may be down to the drivers insurance to sort out all damages. It is likely for many who are in the situation where, ‘car accident my fault will my insurance go up?’ that the answer is yes. Car insurance premiums tend to increase if there is a claim made on the policy. That said lately in the UK car insurance policies go up regardless of if a claim has been made or not. For those who are in the following situation ‘car accident my fault what happens UK?’ the best thing to do is contact your insurance company so that they can assist you further. If there are two party’s to blame for a road traffic accident then they will share the blame. It is usually shared 50/50 meaning that each takes 50% of the blame for the incident. This means that both drivers can claim damages if they are injured in the incident. When claiming personal injury on 50/50 it means that when your damages are awarded you will receive 50% of what they are as you at fault for the other 50%. What can be claimed for following an accident that was your partly your fault or ( 50/50 ) fault? When looking at what damages can be claimed for when it comes to any personal injury case whether it be accident at work, slip, trip or fall or a road traffic accident 2 main areas are taken into consideration, general damages and special damages. They are split in to 2 main areas so that one area can concentrate solely on the injury that is caused in terms of pain and suffering and so that there is an area that looks closely at the financial aspect the incident has had on the victim. When making a personal injury claim in regards to a 50/50 claim you will be awarded 50% of what you would have been awarded if you was completely not at fault. Pain – how much pain a person has gone through and may go on to suffer in the future. Suffering – similar to pain, how much the person has suffered mentally and physical as a direct result of the incident. Stress and Emotions – a person may suffer stress and anxiety after such an incident as a road traffic accident so this is also taken in to consideration. General damages are there to compensate those involved in a personal injury for measurable monetary losses. Special damages are there so that the quantifiable monetary losses are compensated for. 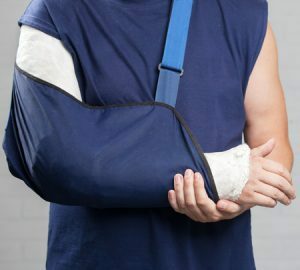 The law’s stand point on personal injury is that for those people who are injured through no fault of their own but the negligence of another and have to face the consequences either through health or property damage should receive compensation so that they are able to get back to the person they was before the incident took place. Even in cases where a driver is partly to blame they still have the right to certain amount of compensation under the UK law. Rear end collisions – One of the most common types of car fault accidents is when a vehicle hits another from behind. The majority of the time the person driving the vehicle that hits the other vehicle in the rear is to blame as the law is pretty clear when it states that drivers must leave enough room between vehicles for stopping distance. Main road driver have the right of way – The driver who is on the main road most always if not always has the right of way, drivers who pull out of side streets and collide with other vehicles tend to be the fault driver. When pulling out of side street, car park spaces, from side roads it is always essential to wait for a clear space in the road to do so as serious accidents can happen if there is not enough room and time to pull on to the main road. Right turn drivers – Making a right turn can cause dilemmas for drivers, when making a right turn the road must be clear in the opposite direction in order to be able to make the turn correctly and safely. Making a right turn when you can see oncoming traffic in your vision is a no no as you may not have time to do the full turn before the vehicles cross your path. There are many types and examples of fault accidents all may not be clear and some can be debatable just because those mentioned above have been categorised as examples of fault accidents this may not always be the case. Road collisions are not always black and white there can be grey areas where blame is not always totally on one side. It is always worth while having a solicitor look at your case, a different perspective can mean the difference from a fault accident to a non fault accident. As said previously when it comes to road collisions sometimes it is clear to see who is to blame for in the incident in question however there are times when it is not always visible to see who is to blame for a road traffic accident. There are even cases when more than one driver is at fault. Sometimes drivers even blame each other as they feel that the blame does not lie with them. It may be that insurance companies have to investigate to decide who is to blame for a road collision and they will decide who they think is at fault, some cases go to court as the drivers involved deny liability and the insurance companies themselves cant come to a conclusion. There are cases when it is very straight forward to see where fault lies and in these cases the driver will know they have done something wrong. It is always advised to get legal advice when involved in a road traffic accident as solicitors deal with such incidents on a daily basis and are a lot more knowledge of knowing who is liable when it comes to accidents that happen on the road. A quick call and we can tell you instantly if you are at fault or not and the best thing about this service is it is free of charge. It depends is the best answer for this question. If you are involved in a collision and you are not at fault then you will be able to claim any damages to your vehicle and any compensation for injuries you have suffered from the fault party’s insurance. However if you are to blame for the collision it is likely that your insurance will cover the damages to the other vehicles involved and any compensation needed to cover any personal injury claims. If you have fully comprehensive insurance then the damage to your vehicle will be covered too. You will not be able to claim any compensation if you are injured if the incident was your fault. If the car accident is your fault then as long as you have a fully comprehensive insurance policy you will claim for the damages of your vehicle from them you will not be able to claim any personal injury. If the road traffic accident was 100% your fault then you are unable to make a claim for any type of compensation. If you are partly to blame maybe you are only 50% responsible for the road traffic accident then you have the right to claim 50% of the damages that would have been awarded in a non fault accident. All passengers whether they are in the fault vehicle or non fault vehicle have the right to make a compensation claim for their injuries. If the incident was completely your fault then you are unable to make a claim for compensation. If you are partly to blame then you will have the right to make a claim for personal injury however you will not receive all the damages you would have been awarded in a non fault accident. You will only receive a certain percentage of the damages this will reflect on how much you are considered to be at blame for the road collision. If an accident is partly your fault but also partly another’s then it is likely that the blame will be shared. Very often drivers who are partly to blame share the fault, 50/50 share is usually the outcome meaning that one driver will be held 50 % of the blame as will the other driver. This allows both drivers to be able to make a claim for personal injury if they are injured as a result of the accident. Below is a table showing the average compensation for road traffic accident compensation payouts. It is very important to remember that they are just estimates and should only be used as a guide when calculating your compensation amount. Car accident compensation amounts can vary widely depending on the severity of the injury, how long a person is in pain, what affect it has on the victim’s financial state and how they will be affected in the future. The table can be used as a road traffic accident compensation calculator in order to assist you in making an estimate as to how much compensation you may be awarded in a road traffic accident compensation case. However the results below are for those victims who are considered not at fault. For drivers who are partly at fault i.e. the results below should be halved as drivers who are 50% at fault will receive 50% of the damage. Personal injury solicitors still offer No Win No Fee Agreements to those drivers who are partly to blame for a road traffic accident. We take all road traffic accident claims whether they are non-fault or partly fault claims. Our No Win No Fee Agreements are very straight forward, if your claim has not been successful you pay nothing at all, however if it is successful then we take 25% of the damages awarded. There is no financial risk at all and gives all society a chance to make a personal injury claim if they have fell victim to negligence. We are renowned for our expertise and great width of knowledge that has been gained through many decades of working with personal injury victims. We have an array of well educated and dedicated staff who are knowledgeable in all areas of personal injury. Regardless of where your claim may lay we have the skills to ensure your claim reaches its maximum potential. We appreciate that being injured through no fault of your own can be very difficult to digest that is why we are here every step of the way to ensure your claim runs as smoothly and effectively as possible. If you or someone you know has suffered a personal injury, maybe been involved in a road traffic accident then why not call us today, use our free phone number 0800 073 8804 where you will receive a free, legal and confidential consultation with no obligation to appoint us to represent your case. We can tell you straight away if you have a case for personal injury. How much compensation can I claim for a road accident? The highway code, road safety and vehicle rules? Car Accident Claims – How Much Compensation Can I Claim? Have you been involved in a car accident? find out how much compensation you can claim as a driver or passenger and get free legal advice.